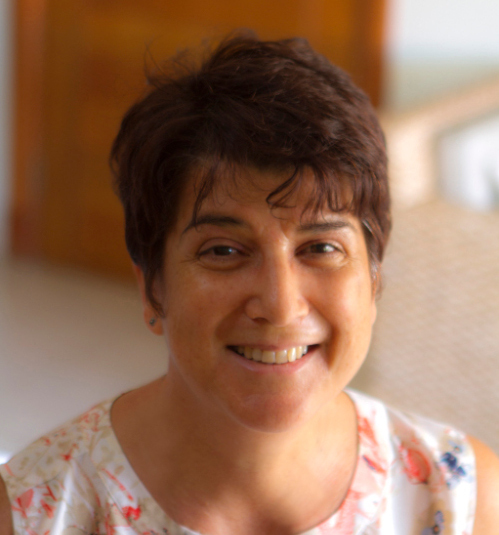 Originally from Gibraltar, Ilana Benady is a social anthropology and political sciences graduate with more than 25 years experience of communications and development work in Latin America and the Caribbean. She has lived in the Dominican Republic for 18 years. Now based in Punta Cana, she is married to well-known Dominican photojournalist Pedrito Guzmán, who took the photo for the book's cover and several of the inside illustrations. Ilana currently works as a Spanish to English translator mainly for international development agencies and non-profit organisations, as well as for private sector clients in several countries. She and Pedrito have a teenage son. As well as Culture Smart! 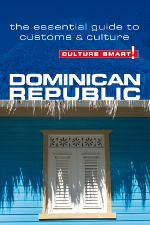 Dominican Republic, Ilana is the co-author of Expat FAQs - Moving to and Living in the Dominican Republic, also with Ginnie Bedggood. Co-author Ginnie, a retired sociology lecturer from the UK who lived in Puerto Plata for over 17 years, passed away before she could see the fruits of her labour, a reflection of her great love, respect and admiration for her adopted country and its people. Since then, Ilana has revised and updated the later editions of Culture Smart! Dominican Republic. Ilana's other publications include Aunt Clara's Dominican Cookbook, co-authored with award-winning blogger and food photographer Clara González. Ginnie also wrote Mad Dogs and English Couple, a memoir of her and her husband's early years as expats adjusting to life in the Dominican Republic. Learn as much Spanish as possible and do your best to go with the flow. Your experience of the Dominican Republic will be much more fulfilling if you can communicate with local people and accept that things will not always work in the same way as they do in your home country. Approach frustrating situations like inflexible bureaucracy, inefficient service by treating people as allies instead of adversaries; employing humour as well as empathy will go a long way. A visit to Constanza in the central Dominican Republic challenges the usual preconceptions of a Caribbean island. While most visitors are attracted by the country’s tropical weather and white sand beaches, for foreigners like me who have made the island our permanent home, it is like entering a parallel universe. As you climb to an altitude of about 2,000m over sea level and then wind your way down into the valley (1,000m), temperatures plummet; pines replace palm trees and ferns fringe the roadsides. Night-time temperatures are decidedly chilly and a mug of cocoa or a glass of red wine by an open fire takes on a delicious novelty.